Kalamba Games has delivered its latest stunning slot Hong Bao allowing players to open up the delights of the ancient Chinese tradition of the red envelope, which brings good luck and fortune. Red envelopes, commonly given as gifts during special occasions such as the Chinese New Year, are the central symbol of this Asia-influenced game, packed full of bonuses, free spins and thrilling engagement features. Players collect the valuable red envelopes to climb the pay table and choose to play bonus rounds on Bronze, Silver or Platinum levels that offer a host of different pay out potentials. The 4×5 slot introduces an added engagement layer with Random Walking Wilds. The game also features Kalamba’s popular HyperBet which allows the minimum bet levels to be raised, increasing win potential and volatility, as well as HyperBonus with a special bet buy-in feature giving players a shortcut into free spins rounds. 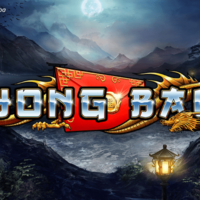 Hong Bao is exclusively distributed on the Relax Gaming platform via its Silver Bullet partner program.